I'm all about people writing their name on their cup. What's nice about RSVPs is that I can control even that small part of the party. Have I ever mentioned I'm controlling? Yes, I have. 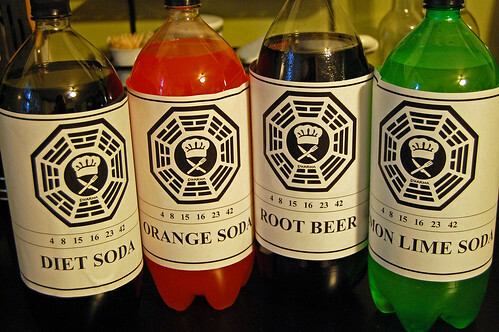 No Lost party is complete without Dharma drinks. However, my house is generally a "dry" house (due to my frugality more than teetotality) so we left out the beer. Look at my great friends who are not afraid of a little curse. I'm controlling AND competitive, so no gathering is complete without a chance for me to win something. Even if I already knew some of the answers. However, who knew it would be Sawyer to cry and not Jack? Did you know? Hurley's old stomping grounds provided an excellent array of poultry for the event. 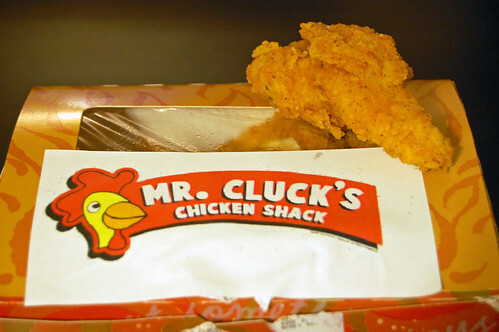 Publix grocery stores provide remarkably similar chicken. 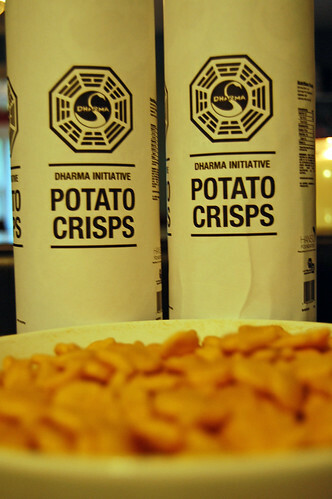 More Dharma rations and goldfish make every luau, toddler birthday party and shindig about bizarre time-traveling dead people all the saltier. May Oceanic flight 815 rest in peace. Or in this case, marblized goodness. I'm a FIRM believer that every party guest leaves with a favor. 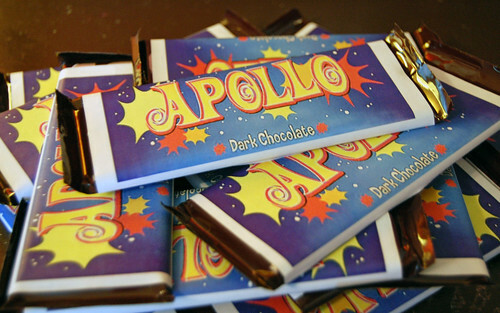 I also believe every guest brings the hostess a gift, but who's pointing fingers? Thank you Hershey's for your manna. What television show finales are you wrapped up in? Oh my gosh...you're such the little party hostess! 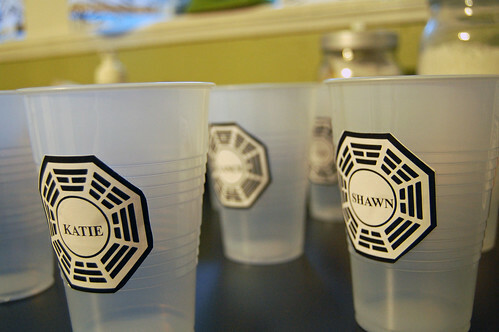 I totally wish I watched Lost now :)...b/c then I could have been invited to your cool party! I'm not sure what else to say, but "Wow!" a little bitter, are we? I'm so happy I was there. Lance, life would be less enjoyable without you. 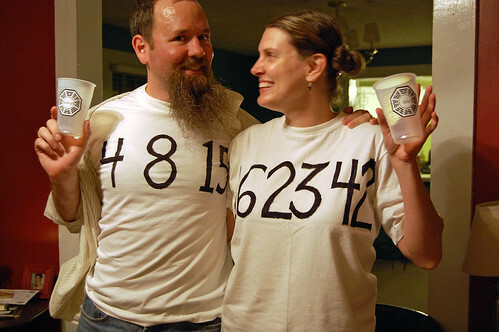 Jem and her boyfriend are TOO CUTE! You should get more cute friends. such fun! great party stuff! Alright Bree Vandecamp (Desperate Housewives reference). We get your point about hostess gifts. It was a fun, fun party! 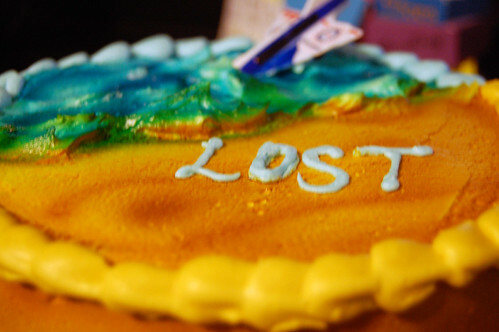 Can't wait till January and the "Lost Premiere Party"!! 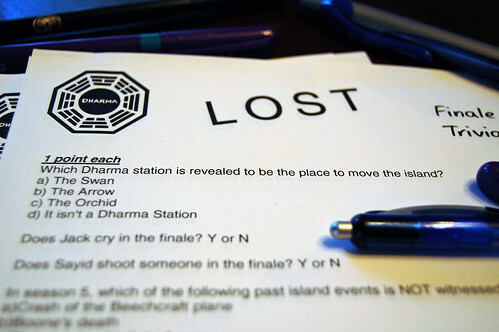 I've never watched Lost (yes, I live under a rock! ), but what a great party, down to the last detail! You really went above and beyond.